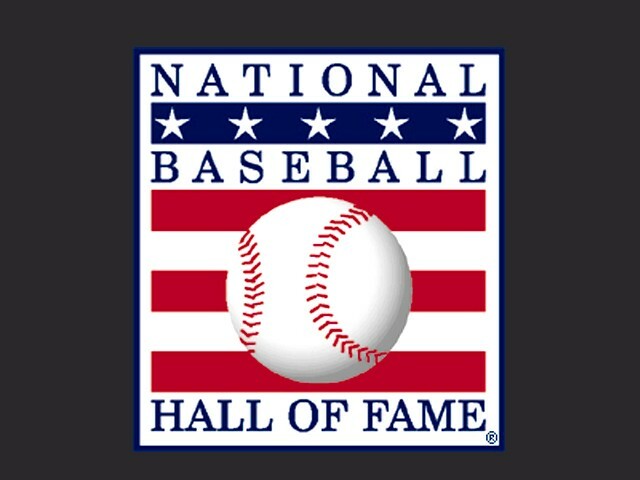 This week the BBWAA will announce if there are any new inductees to the Baseball Hall of Fame in Cooperstown, and no matter the results there will be controversy. The biggest names of the “Steroid Era” (Barry Bonds and Roger Clemens) are finally eligible for the Hall, and despite their career’s being Hall of Fame worthy before they took any illegal substances, most voters won’t bother even giving them a passing thought. 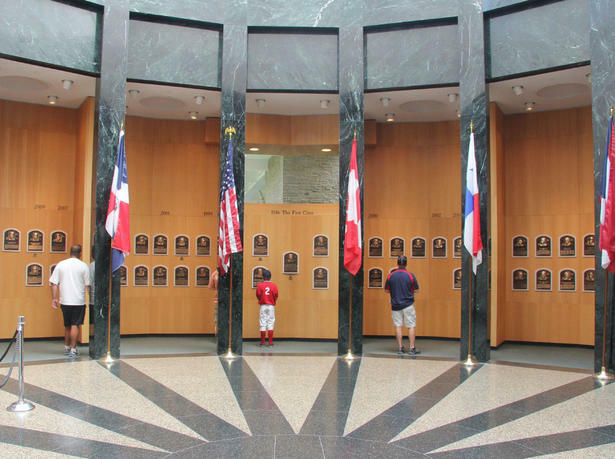 Soon, the Hall of Fame ballots will be inundated with players who probably should be inducted, but because of the suspicions of PED use, they will not get the 75% of the votes that are required for entrance into the hallowed halls of Cooperstown. But they should be in, and here is why. The Baseball Hall of Fame is not a church. It might be sacred ground for those of us that love the game, but it already has cheaters and players with shady character issues roaming the halls. Having players in baseball cheat and do whatever they can to get an advantage is as old as the game. We’ve all heard the stories about players using spitballs, or scuffing the ball to get more movement when they pitch. Batters have long used items like pine tar and cork to help them hit the ball farther. None of this is new. It’s been going on since the beginning of the game, and will be going on long after you and I are gone. Doesn’t mean it is right, but lets not act like the game is 100% pure. In fact, a pitcher named Pud Galvin is said to have injected monkey testosterone back in 1889. With that line of thinking, are we to believe that there is no one in the Hall of Fame with a shady record or who didn’t follow the rules of the game all the time? None of us are that naive, but it’s amazing how many of the writer’s will crucify everyone who used steroids, or is even suspected, yet they idealize former players whose character would be thrown into just as much of question. Two of the biggest in history would not be categorized as “Angels”, and I don’t mean the ones that roam the outfield in Anaheim. 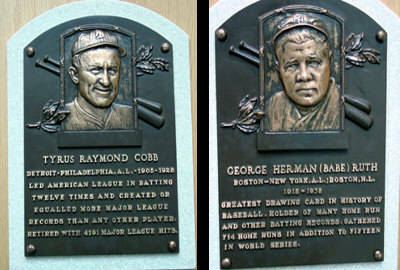 Exhibit A: Babe Ruth and Ty Cobb. I can not tell a lie: that is a real quote from Babe Ruth!! Now, Babe Ruth is still one of the greatest(if not THE greatest) ballplayers of all time. But these men weren’t saints and I’m pretty sure you wouldn’t take them out of the Hall of Fame, now would you? 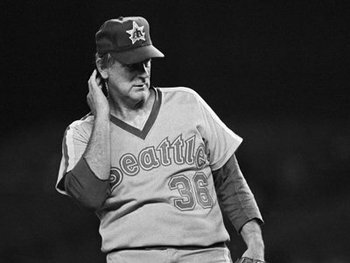 Maybe the most notable player in Cooperstown that is known for cheating is the great Gaylord Perry. Perry made a career out of playing with the batters head. Perry would go through a whole routine on the mound, including wiping his brow and rubbing behind his ear before throwing a pitch. Did he throw a spitball all the time? No. Did he make the batter think he was? Yes. That was part of his game. The other part of his game was simple; Gaylord threw a spitter. The problem was, there was never any hard proof in a game. There were many attempts to catch him, but most futile. But since his retirement, Perry has admitted to adding a little somethin’ somethin’ to the ball, to give it a little bit of added english. Perry won over 300 games in his career, and won the Cy Young in both leagues, while totaling five 20 win seasons. Pretty safe to say, he is a Hall of Famer; a Hall of Famer that cheated. Maybe one of the biggest cases of a player who probably shouldn’t pass the character clause in the rules of voting for the Hall is Mickey Mantle. I know there is a whole generation that worships “The Mick” and who think he walked on water. I will never deny he was a hell of a ballplayer, possibly even one of the best. But Mick also had a major drinking problem and cheated on his wife. He also didn’t have the greatest relationship with his sons, but that is neither here nor there. 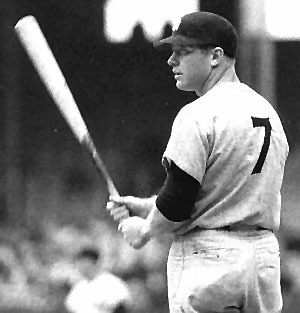 Everyone loved Mickey Mantle, but he made life rough for anyone who was around him. Dealing with an alcoholic every day is tasking, and that is how most friends and family members felt about Mantle. He deserves to be in the Baseball Hall of Fame, but his character should have been brought into question. Here is where a section of the baseball writers aren’t able to separate their feelings about Mantle while in the same breath crucify steroid users. Hell, Mantle was even given a shot that included steroids back in 1961 to help his ailing hip. Yes, that would “enhance” him being able to play on the field, which would in effect give him an advantage. Are you starting to see where some of the hypocrisy of the writers is seeping in? All that, and I haven’t even mentioned “greenies” yet. “Greenies” as they are called, were regularly used throughout the years in baseball, while most prevalent in the 1960’s and 1970’s. 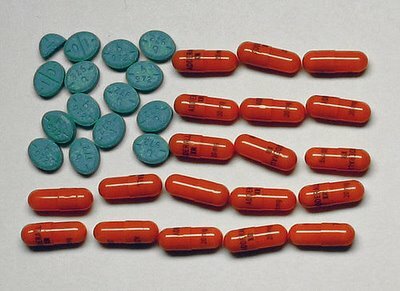 Amphetamines(or speed) allow a player to be able to bounce back from a long night and perform at a higher level than they would have clean sober. How prevalent were “greenies”? The percentage of players that used them during that period would be near the majority, where even a player like Willie Mays was known to have amphetamines located in his locker(although no one has ever come out and said they saw him use them). It was common practice for players to use amphetamines to help them recuperate, but there is no scrutiny laid at their feet. Once again, this helped “enhance” their performance, much like PED use would. There is no doubt in my mind that there are players in Cooperstown who used this substance to help them get through a grueling season. It doesn’t make me think less of them, but it once again shows that PED use isn’t an island onto itself. The point of this is to not knock down some of the greats of the game. They are humans just like the rest of us and in a lot of ways should not be placed on the mantle we like to put them on. The point is that there is a segment of the writers who won’t vote for anyone who is even suspected of using steroids, and while that is their prerogative, it also takes away from what the real purpose of the Hall of Fame is. 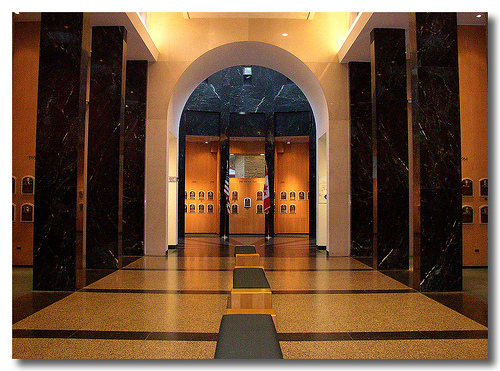 Baseball’s Hall of Fame is a museum for the game and everything it encompasses, good and bad. Throughout history, bad things have gone hand and hand with the good in the game. The “Steroid Era” is a part of the game, and baseball allowed to it happen. It wasn’t against the rules, and players took advantage of that, making everyone richer. It also put a stain on the game, but it’s a stain we are stuck with. Just like the “Black Sox Scandal”, just like Pete Rose and just like the racism that permeated in the sport for decades. While Cooperstown is the closest thing to Heaven for us fans, it is not Church. Let’s try not to treat it that way.